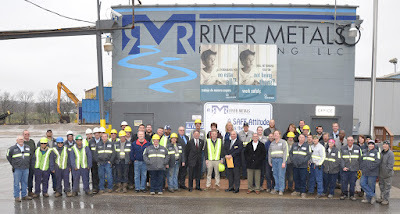 Mike Nemes, Acting Secretary for the Kentucky Labor Cabinet, joined officials from River Metals Recycling (RMR) in Newport today to celebrate the worksite’s Safety and Health Achievement Recognition Program (SHARP) certification for excellence in workplace safety. “Kentucky is proud to boast 17 companies that meet the standards of the nationally-recognized SHARP program,” Nemes said. “The rigorous criteria that companies like River Metal Recycling meet by promoting excellence in workplace safety is something that should be celebrated. Along with our 11 Voluntary Protection Program companies, these businesses are the gold standard for implementing and maintaining effective safety and health management systems. The Newport facility employs 44 people and specializes in scrap recycling services for households, tradesmen and businesses. It also buys ferrous scrap as well as common household nonferrous scrap metal items like aluminum cans, stainless steel, copper and brass products. River Metals Recycling is owned by The David J. Joseph Company, which was founded in 1885 and is one of the largest scrap brokers/processors in the country. 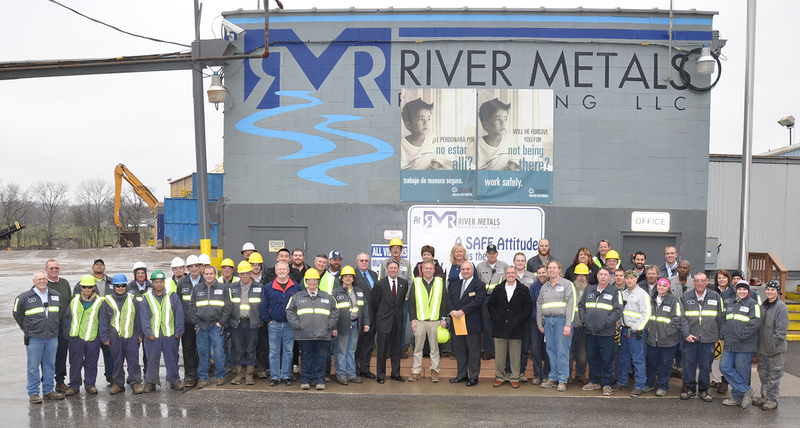 River Metals Recycling is the largest scrap recycler in Kentucky and employs 260 people across four states. 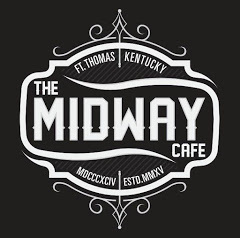 It is headquartered in Crescent Springs, Kentucky and has four SHARP-certified sites across the state. The SHARP designation was designed by the U.S. Department of Labor’s Occupational Safety and Health Administration (OSHA) to encourage and recognize excellence in occupational safety and health among smaller employers. Qualified consultants at the Kentucky Labor Cabinet, who are experienced in helping employers develop safety and health management plans, provide assistance and training to employers at no cost. “We are fortunate to have such a valued employer here in Campbell County,” said Sen. Wil Schroder said. Rep. Dennis Keene agreed. "I want to thank those who have worked so diligently to make their company so safe, and I also appreciate the Labor Cabinet’s efforts to highlight this type of accomplishment,” he said.